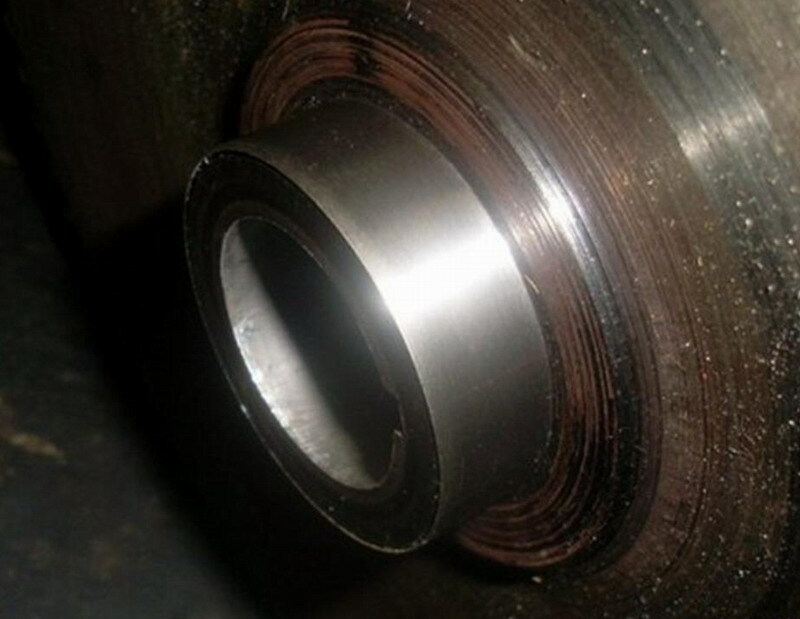 With the 'Seven' engine not running well, a strip down revealed a significant problem with the rear main bearing “spinning” on its journal, a not uncommon fault. Fortunately, a solution was found and progress could be made with an engine rebuild. However, whilst the engine was in pieces it seemed sensible to undertake a number of other jobs which needed doing and which, whilst not necessarily important, were made possible, and easier, by the strip down. One job was the flywheel oil seal. 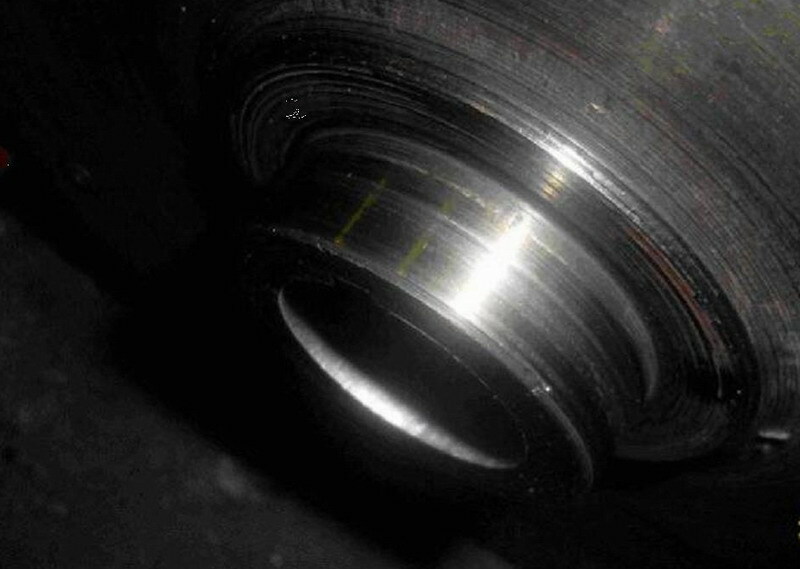 This is normally 'sealed' by a traditional scroll type seal that literally 'screws' the oil back into the engine whilst it is running and can cause problems whilst not running especially if it is worn out. 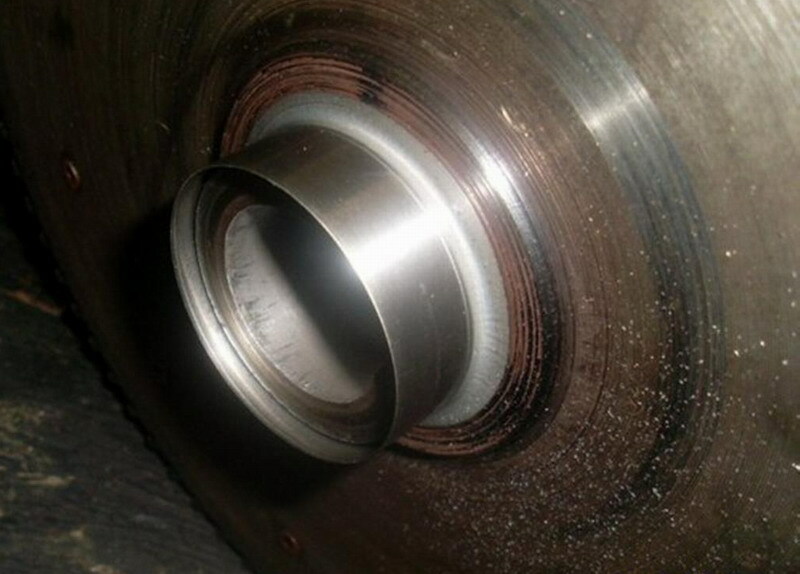 The usual remedy, that is becoming popular, is to purchase a special rear main bearing cover which is machined to take a modern lip type oil seal. This had been done with the last engine rebuild which, unfortunately, did not go to plan. The seal leaked more than the scroll did! This was left until there was an excuse to take it apart again, which has now happened with the bearing problem. A careful strip down revealed that the slot that I had previously filed in the new modified cover could have been deeper, and more significantly, the fairly rough surface finish of the flywheel was not conducive to making a good seal with the lip seal. Asking around various sources, including a popular internet forum revealed that this is something others have encountered before. SKF manufacture the 'Speedi- Sleeve' which can 'sleeve' the flywheel and give a ground finish for the lip seal to run on. It is available in many sizes to suit a range of shafts as they are primarily designed to repair worn sealing surfaces on industrial machines. Having measured up the flywheel the size required was for shaft sizes 1.872" to 1.878", and others confirmed that this was the size they had used. This was purchased from the local bearing supplier for £24. Further research revealed that it could not be bought cheaper on-line, however I felt it would be money well spent and my low-cost 20/50 engine oil, at around £5 a gallon, will pay for itself over time. Fitting it required a little care and the photographs show some of the stages. After measuring the length of the sleeve it became clear that it would stick out from the flywheel approx 5mm due to the sleeve being longer when it had its fitting flange attached. The fitting flange on the sleeve allows the use of the tool provided to drive the sleeve home easily without damaging the sleeve in the process. The instructions give the option to leave this fitting flange in place after fitting or it can be removed. Because the sleeve was too long with this fitting flange in place I “nicked” the fitting flange with a sharp chisel BEFORE fitting the sleeve. The tool supplied was used to drive the sleeve home as far as the fitting flange allowed, no 'Loctite' or other product is used as the recommendation is to fit the sleeve dry. This left about 5mm sticking out from the end of the flywheel (photo left). 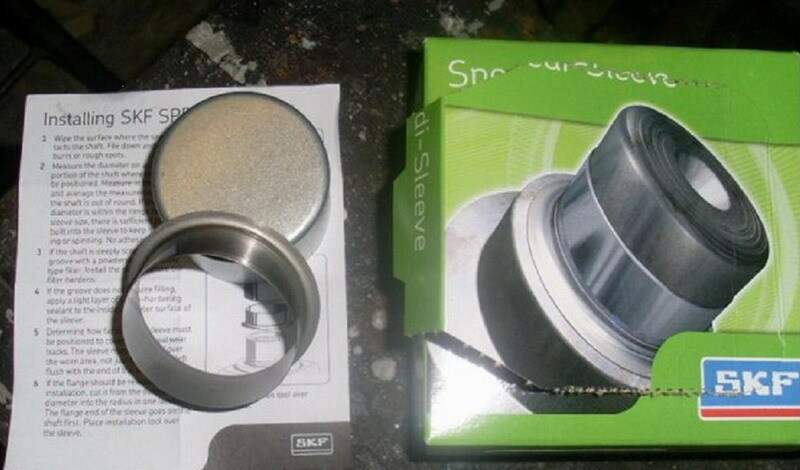 I was then able to “peel” off the fitting flange as per the instructions (it can be seen in the photo below). 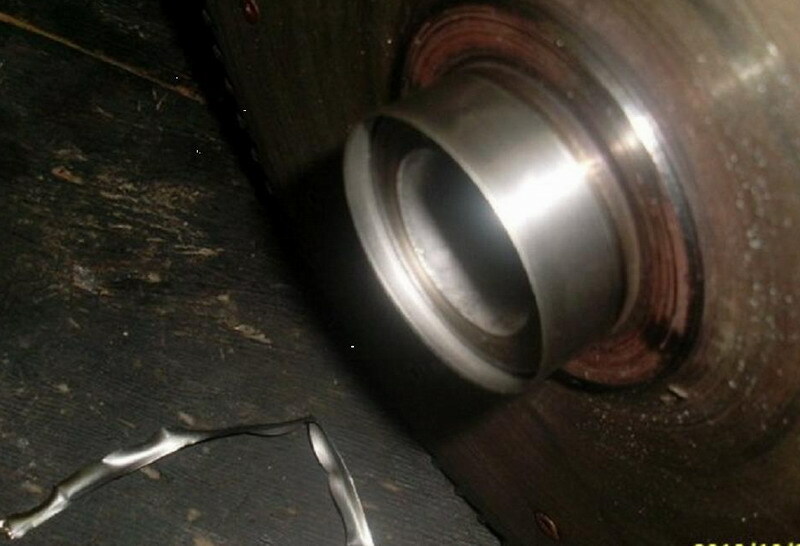 I then used a block of soft aluminium to finish driving the sleeve home and allow it to fit flush with the flywheel. Once fitted it can be seen from the photo (left) that I now have a nice ground surface for the flywheel lip seal to run on now that incidentally is now 50 thou bigger than before as the sleeve is 25 thou thick. The only thing left to do now is to make sure that you file the slot in the new cover to align with the hole in the crankcase and allow oil to drain away correctly. Hopefully this will now keep the oil inside the engine better than before and stop me having to empty the drip tray after, and during, every journey!! NB: SKF 'Speedi-Sleeve' is cited as the authors chosen product for accuracy of reporting the work, and is not necessarily the only product available. This article, written by Steve Martin, originally appeared in CA7C Seven Focus in Nov 2010 pp16-19.